If you will be having a knee or hip replaced to treat joint damage done by arthritis, you should know that how your recovery and rehabilitation is handled is as important as the joint replacement surgery itself in terms of achieving an optimal outcome – reduced pain, increased mobility, and improved quality of life. That means having a good plan in place well ahead of your procedure date for your recovery and rehabilitation period is essential. Here are some planning tips that can help you ensure the best recovery. 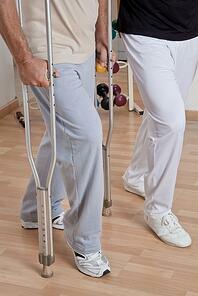 Surgery of any kind is a shock to the body, and joint replacement surgery is a major procedure. Going into it as strong and healthy as possible can reduce the after-effects of that shock, improving how well and how quickly your body recovers. Optimizing health and wellness before surgery means eating a healthy, well-balanced diet during the period leading up to surgery. Taking steps to reduce stress is wise as well, since chronic stress is known to impair immune function. Regular exercise is also important to ensure that your cardiovascular and immune systems are in good shape before your surgery. Lastly, consider a "pre-hab" program to make sure that the muscles and connective tissues surrounding the affected joint have the strength, flexibility, and function they will need to support, control, and stabilize your new artificial joint after surgery. Working to improve the condition of those surrounding tissues before surgery can help speed healing and recovery afterwards. Rehabilitation therapy will be key to getting your new knee or hip working properly after surgery, so planning yours well ahead of time is wise. Making arrangements to spend time in a short-term inpatient rehabilitation program right after surgery can improve your recovery, so speak to your doctor about options in your area. These programs offer more intensive, personalized rehabilitation therapy than is typically offered in outpatient programs, planned and guided by a team of rehabilitative specialists and containing the medical care, pain control, education, and support you'll need to make your recovery and rehabilitation from joint replacement surgery as quick, comfortable, and complete as possible. 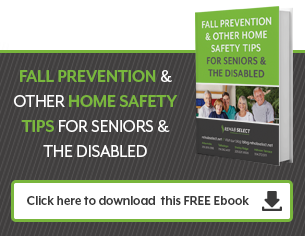 Check with your health care team to find out about adaptive equipment you'll need, such as raised toilet seats, a shower chair, and grab bars in the bathroom, for instance, and get them into your home and ready for use before surgery. Stock up on nutritious foods that will be easy to prepare. Clear a path, free of obstacles and trip hazards, to frequently used areas of the home and make sure it is wide enough to accommodate a walker, wheelchair, or crutches. Place often used items where they can be easily accessed when getting around becomes more difficult. You will need help at home for at least a few days after your arrival. Make sure you have a support system in place to meet that need, including arrangements for transportation to medical and therapy appointments, someone to help you with meal prep and personal care as necessary, and someone to handle matters like shopping and errands – especially picking up the medications you've been prescribed. Having all your ducks in a row well before your joint replacement surgery is the best way to ensure that you have the support and resources you need to make the most of your recovery and rehabilitation. Being well-prepared before surgery means that you won't have as much to worry about afterwards, allowing you to focus on what matters most – healing, recovery, and rehabilitation – speeding and improving your recovery.